Raymond Mark Searage was born May 1st 1955, on Long Island, in Freeport, New York. The six one left handed pitcher attended West Liberty State College, getting drafted by the St. Louis Cardinals in the 22nd round of the 1977 draft. In December 1979 he was traded to his hometown area New York Mets in exchange for Jody Davis who went on to success with the Cubs in the 1980's. 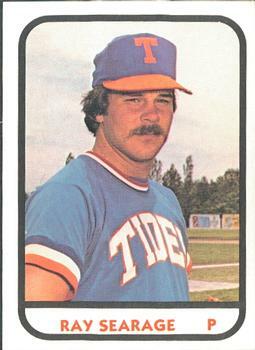 After playing with the Jackson Mets & Tidewater Tides he was promoted to the Mets staff by June 1981 in the strike split season. 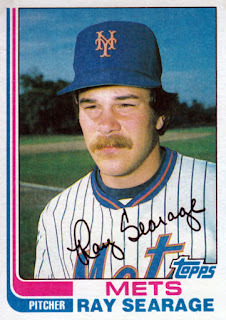 Searage made his MLB debut on June 11th 1981, finishing up a 5-2 loss to the Cincinnati Reds at Shea Stadium. On August 11th, he came in relief in the 7th inning & earned his first career victory in a 4-2 Mets win over the Cubs at Wrigley Field in Chicago. He would see steady action out of Joe Torre's bullpen, earning a save on September 9th in Pittsburgh. In 26 games he went 1-0 with 16 strike outs 17 walks & a 3.64 ERA in 36 innings. Trivia: In his only at bat with Mets he got a hit, so this hit made him the only player in Mets history to have a 100% winning percent & a 1.000 batting average. 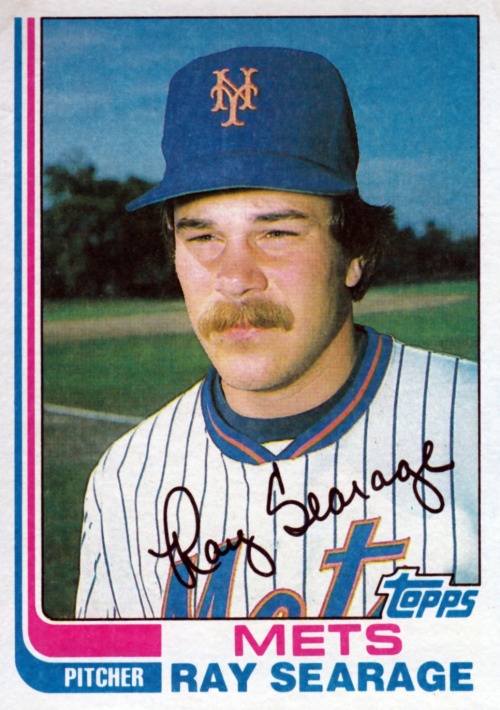 In January 1982 the Mets traded him to the Detroit Tigers for fellow Long Island native Tom Veryzer. 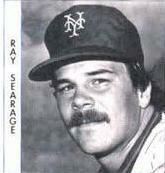 Searage then went to pitch in relief for the Milwaukee Brewers (1984-1986) where he had six saves in 1984. From there he went to the Chicago White Sox (1986-1987) & then the Los Angeles Dodgers (1998-1990). In his seven year career he was 11-13 with 11 saves, 193 strike outs 137 walks in 287 innings in 254 appearances. Coaching Career: In 1994 he began his long coaching career starting in the St. Louis Cardinals organization. In 1998 he was with the A ball Hudson Valley Renegades in New York / Penn. League in Fishkill, New York. He moved to the Florida Marlins as Minor League Pitching Coordinator (2001-2002) then moved to the Pittsburgh Pirates organization. After coaching the AAA Indianapolis Indians he was promoted as interim pitching coach of the Pittsburgh Pirates, getting the main job the next year under Clint Hurdle. 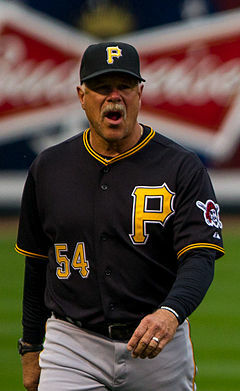 In Pittsburgh, Searage has been highly a highly successful & well respected pitching coach. Any pitcher the Pirates acquire, no matter their history or any prior injury the team says, "don't worry Ray will fix him". He has been called the Pitcher Whisperer or the master mechanic. Quotes: Ray Searage- "We're all in this together. It's not Ray this or that. No, it's the Pirate way. That's why there's strength in numbers. If you surround yourself with good people that have an idea about pitching, you can grab a little bit here and a little bit there. Before you know it, you're like, 'Wow, I'm loaded to help this guy out.'"